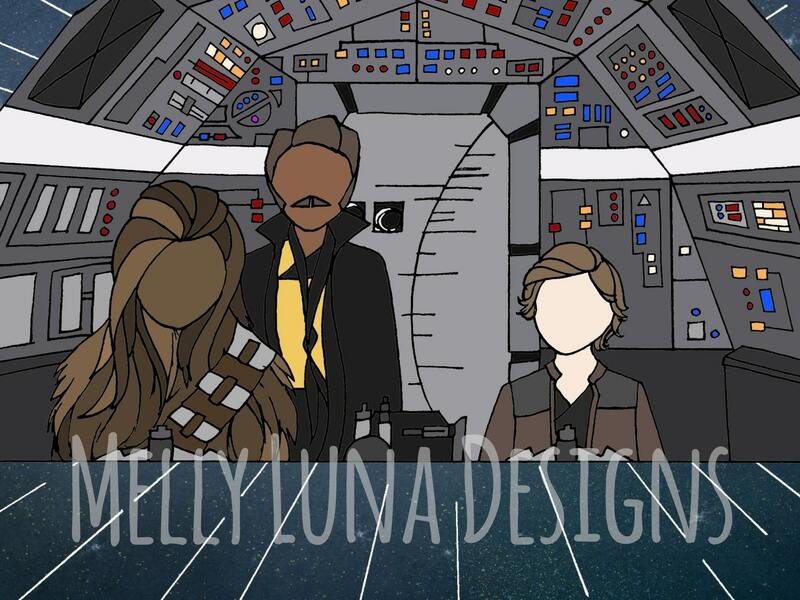 Original artwork inspired by the Solo movie! 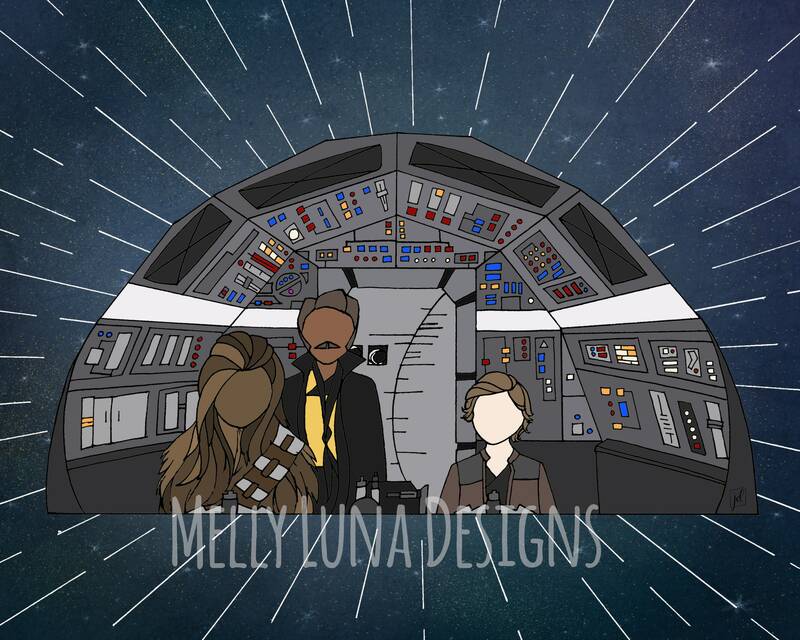 Join Han, Chewie and Lando in their adventures aboard the Millennium Falcon. Isn't Chewie's hair epic? ?